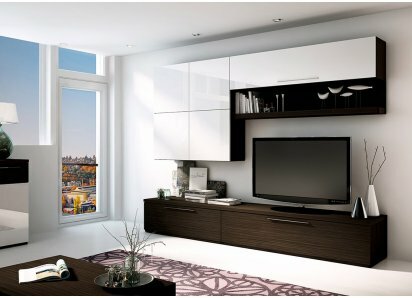 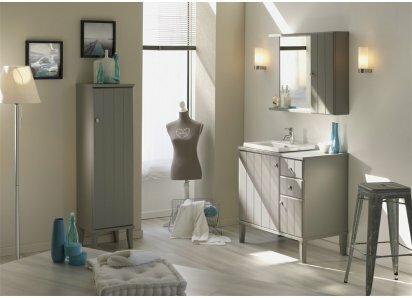 SIMPLE ECLECTIC STYLE: Pairs well with most home décor styles, from country casual cabin to sophisticated city apartment. 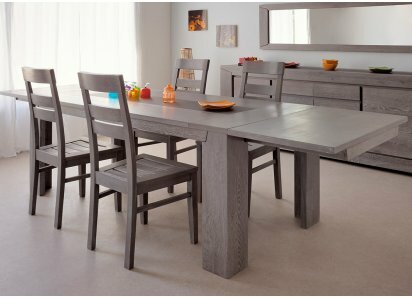 ORGANIC WEATHERED WOOD COLOR: Smoky gray woodgrain adds a natural element to your tablescape, and blends with most home color schemes. 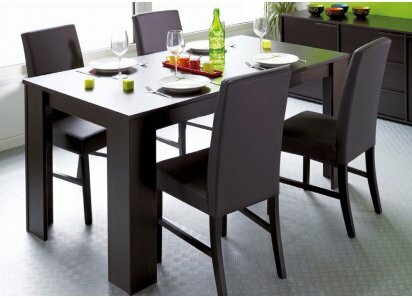 GLASS CENTER: Smoked glass center panel adds an elegant design element to the table. 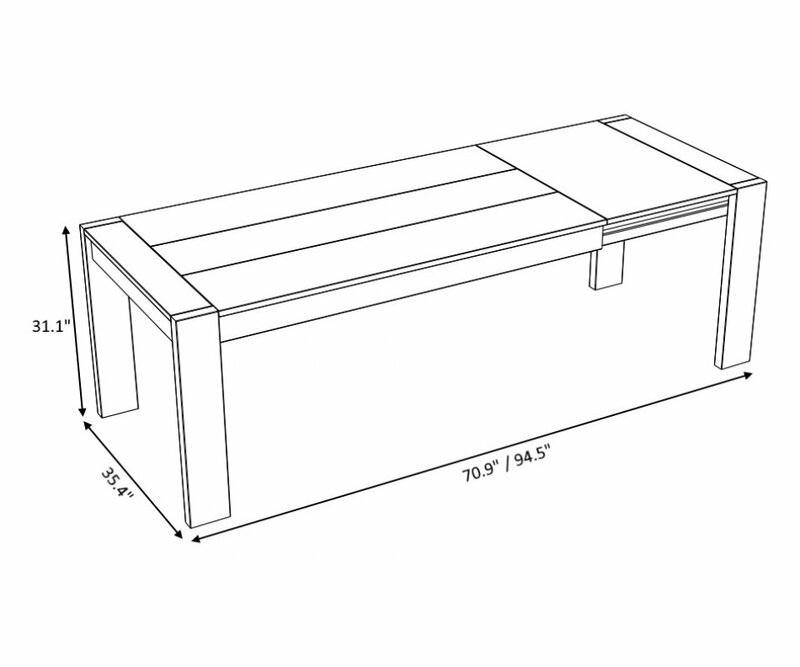 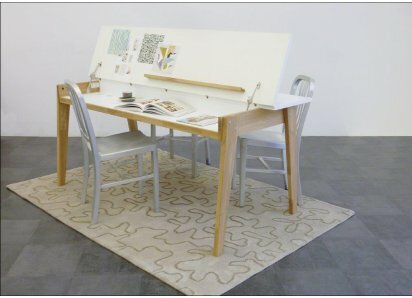 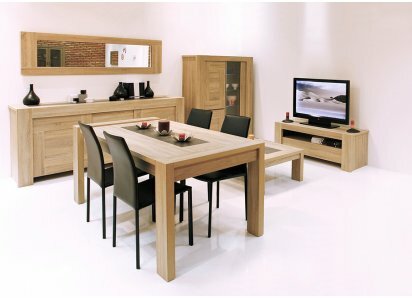 EXTENDS TO LONG TABLE: When closed, the table is 70.9” long; the central extension creates a 94.5” length. 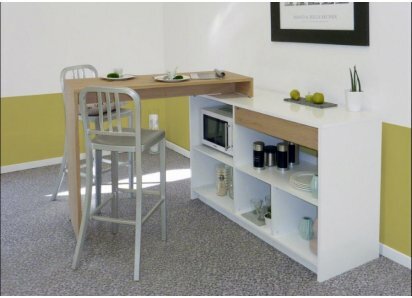 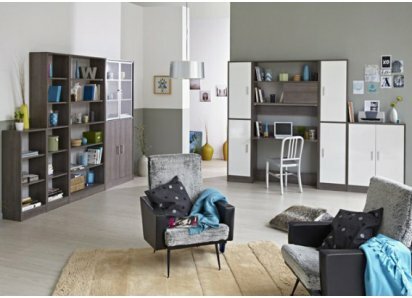 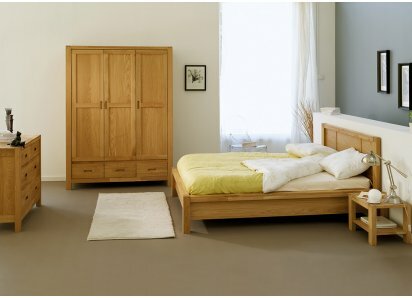 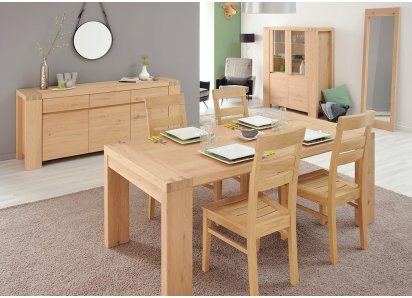 GREEN WAY MANUFACTURER: Parisot manufactures with low solvent emissions, using wood obtained from eco-managed forests, and is committed to making eco-friendly furniture! 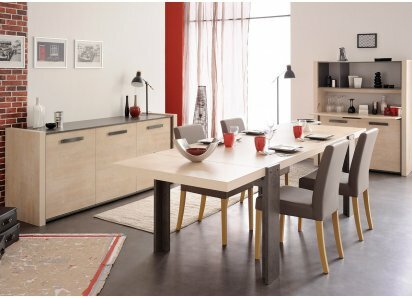 Your dining table is the focal point of the dining room or open great room dining area. 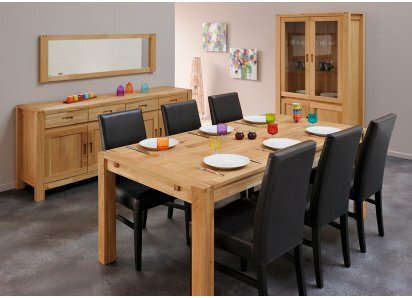 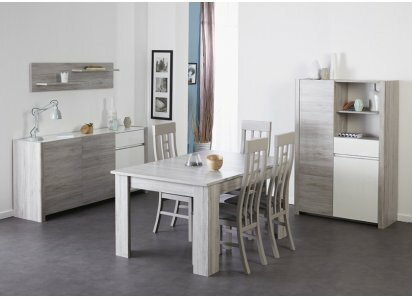 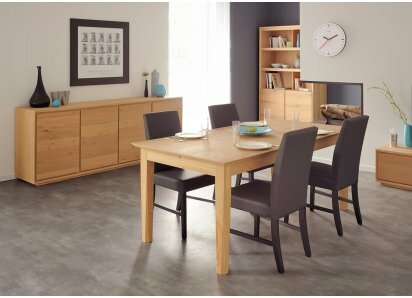 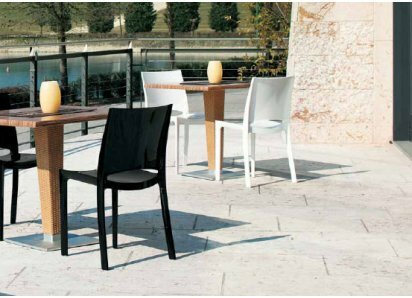 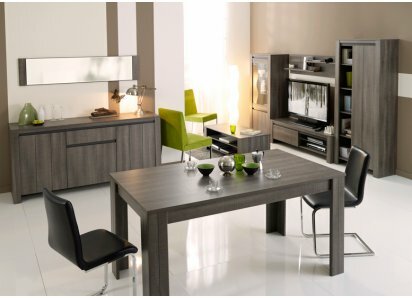 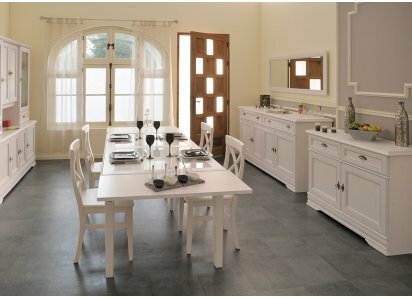 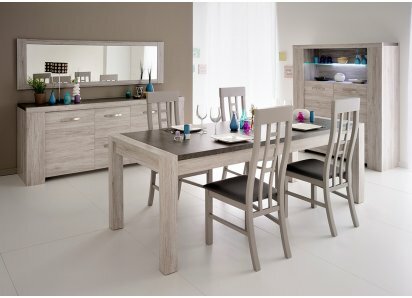 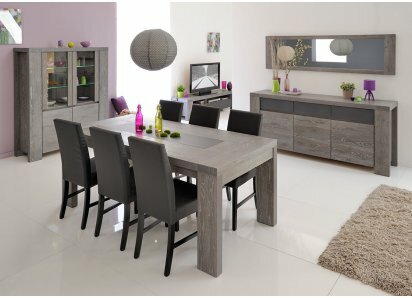 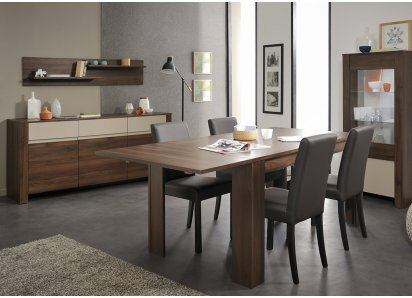 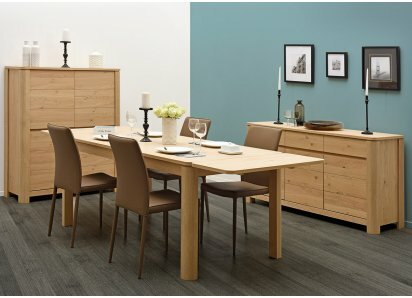 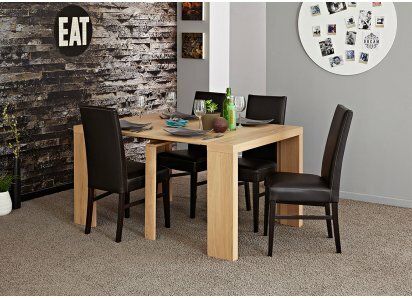 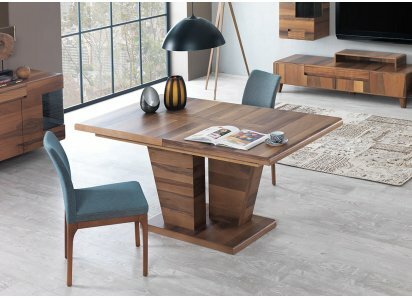 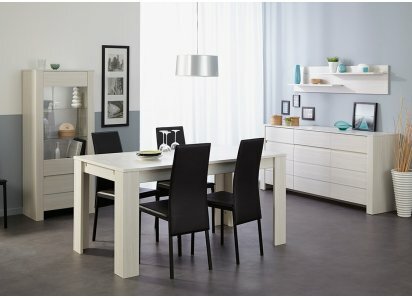 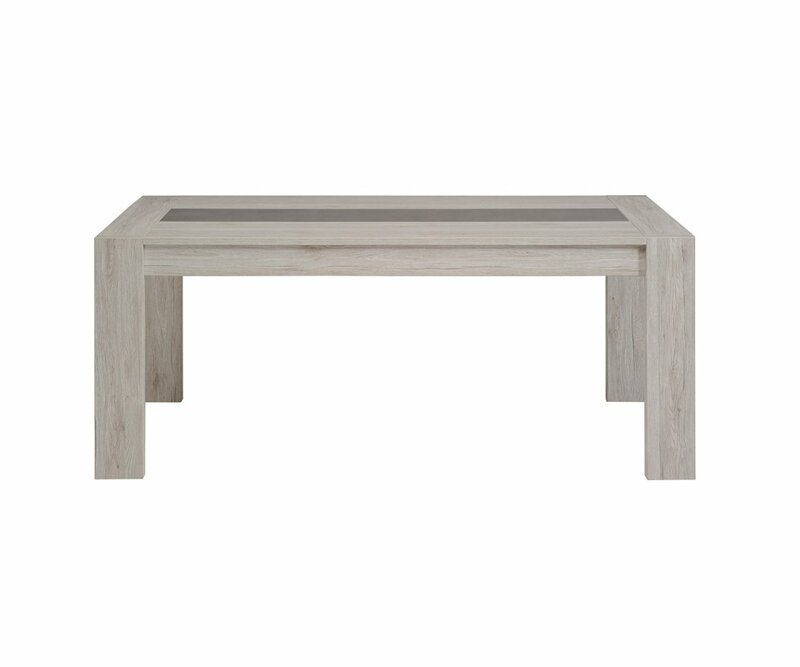 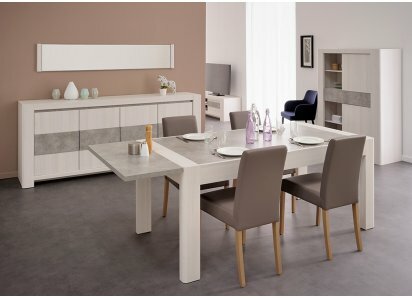 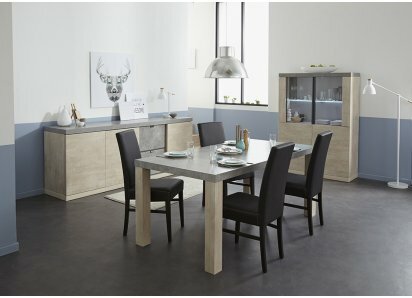 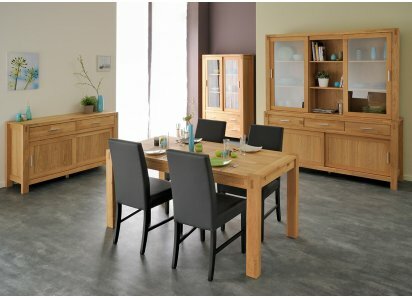 If you’re choosing your next dining table, the Luneo style is a great style to take a look at! 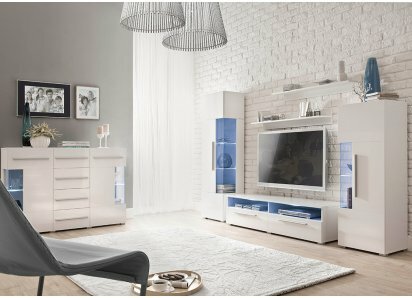 It has simple, eclectic lines, and blends with many home décor styles, whether you love country, urban chic, or colonial modern. 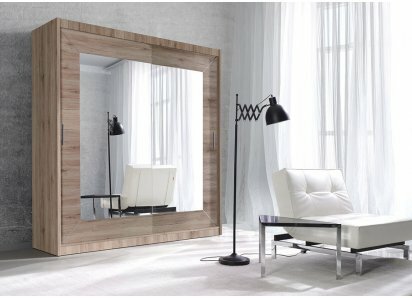 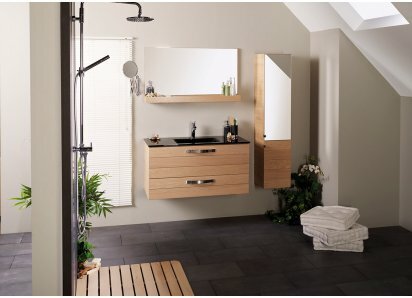 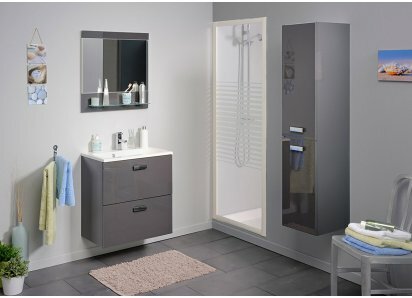 The smoky gray woodgrain and central smoked glass panel can be elegant or rustic, old world or new age! 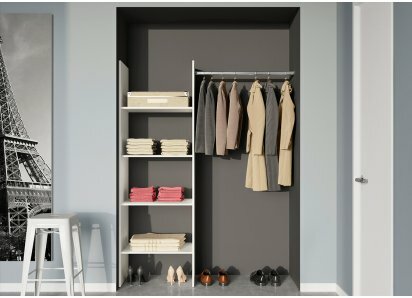 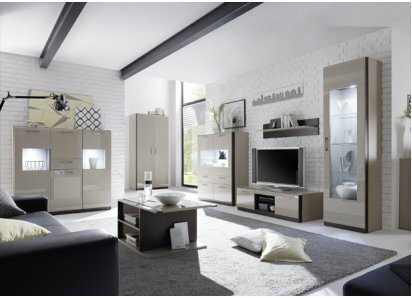 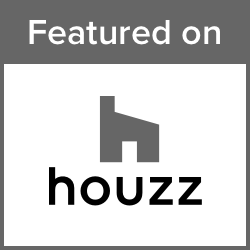 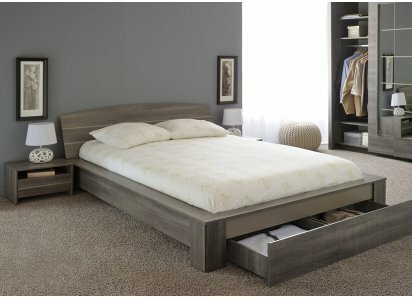 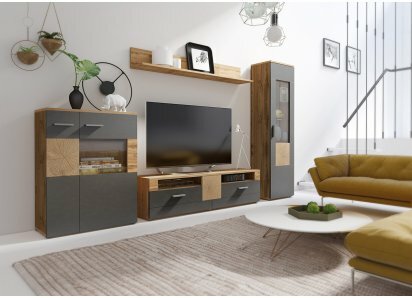 The gray color pairs well with other woodgrains, and with most color schemes. 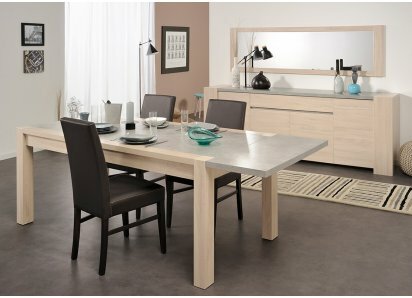 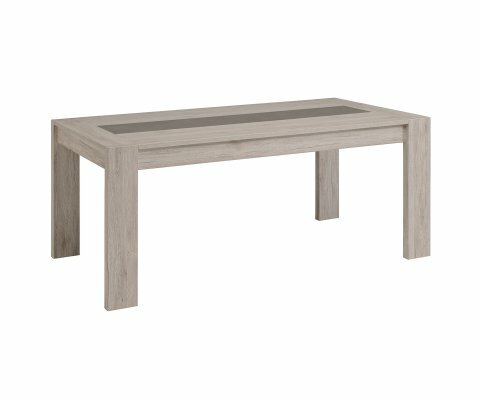 This table, when closed is 70.9” long, providing seating for up to 6 people, and the perfect size for smaller homes, apartments or condos. 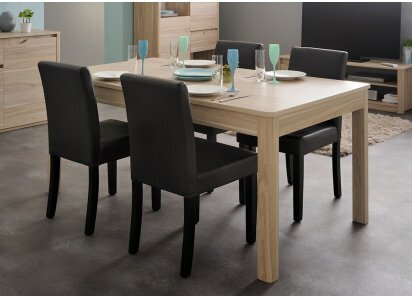 There’s a central extension that adds an extra 2 feet, giving you a table that seats up to 8 people. 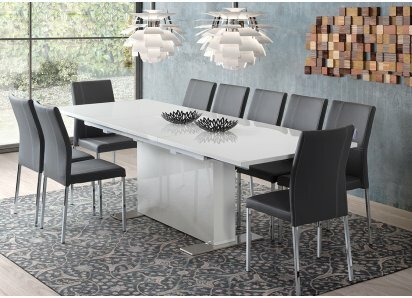 The table is manufactured from top-grade particleboard, with stainless steel hardware, and has premium veneer finish that resists stains, water rings, and scratches. 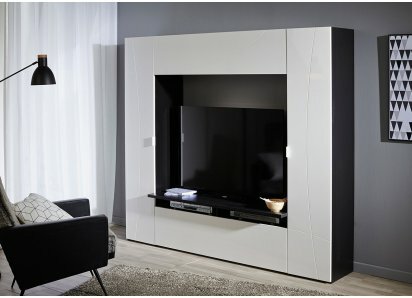 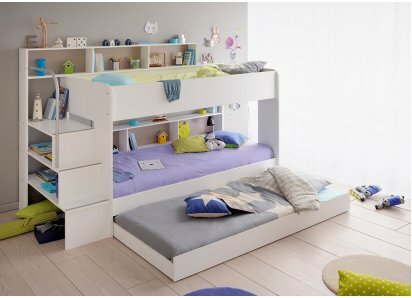 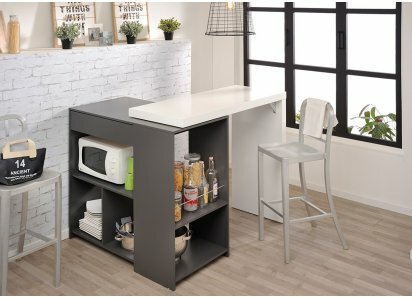 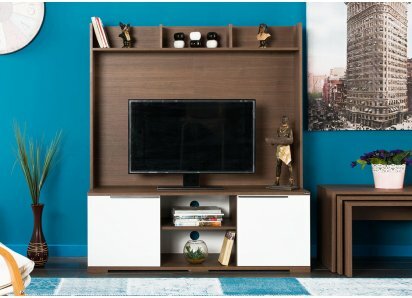 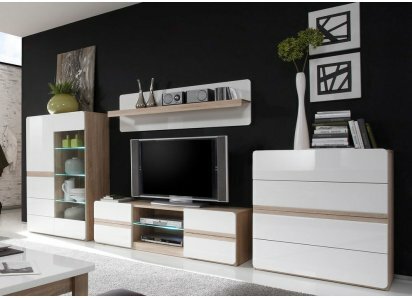 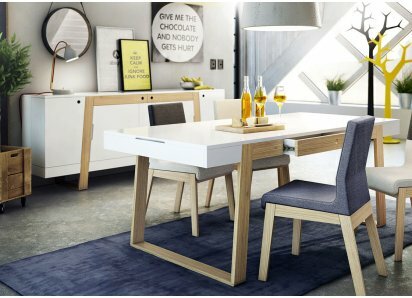 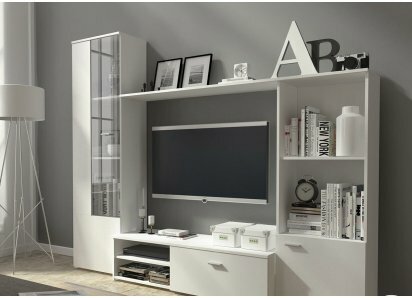 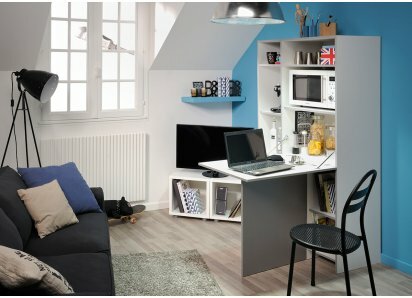 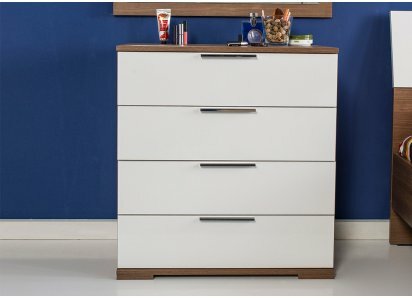 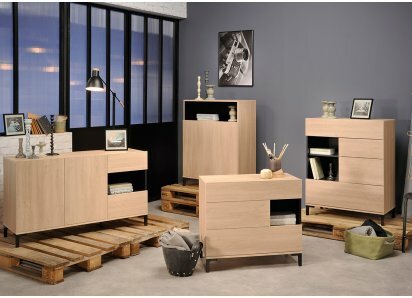 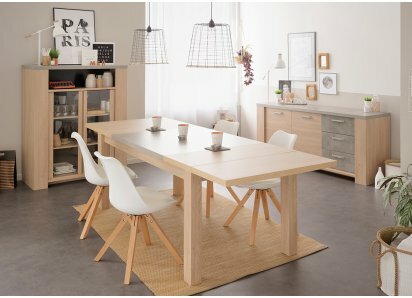 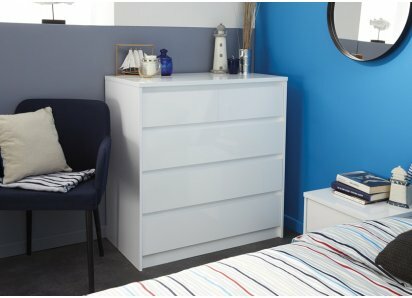 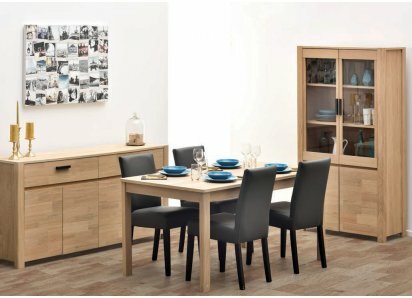 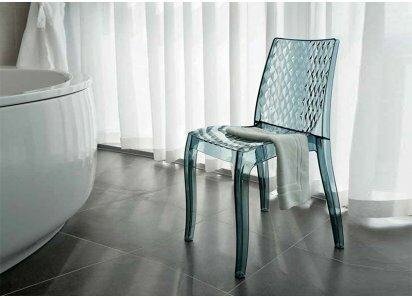 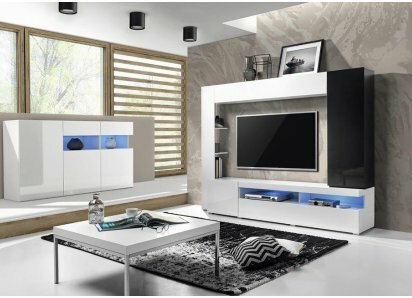 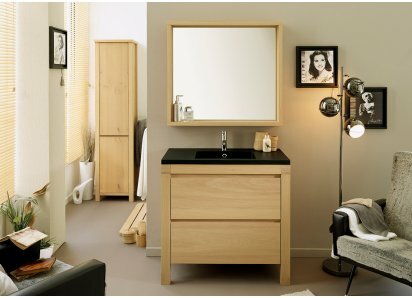 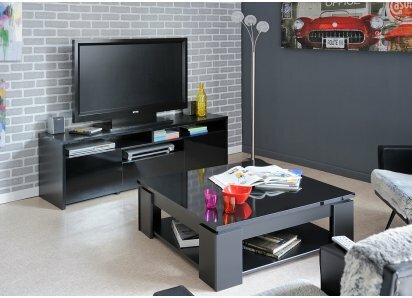 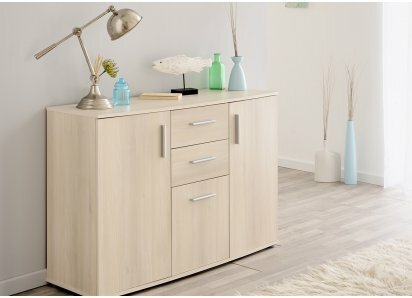 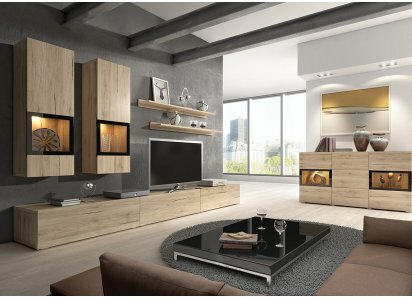 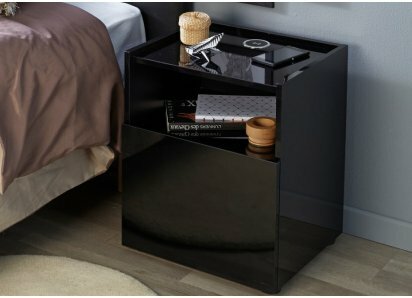 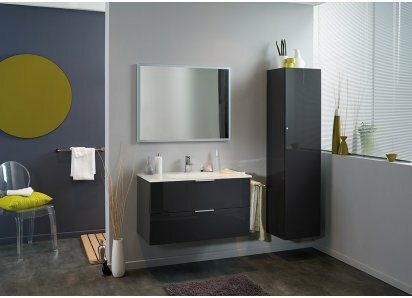 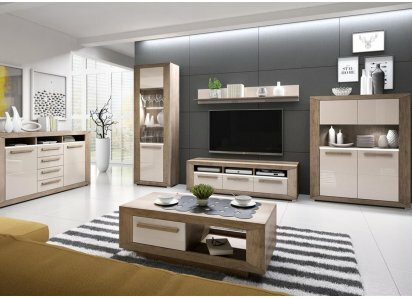 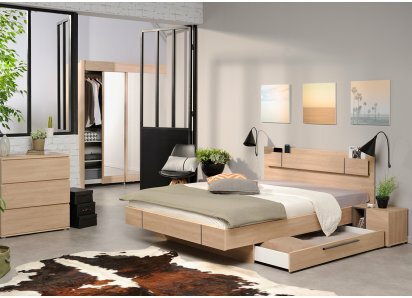 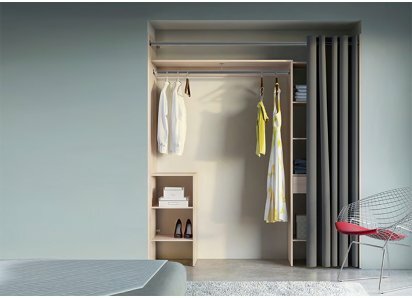 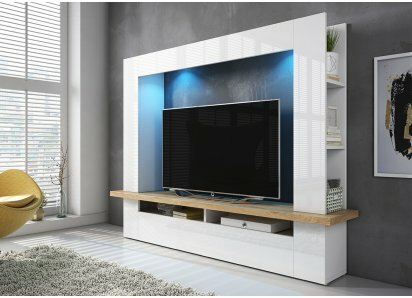 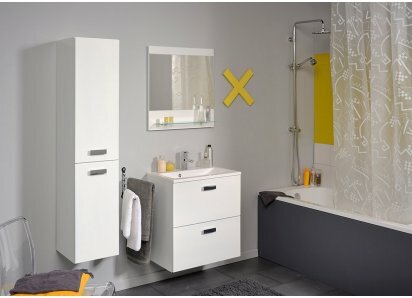 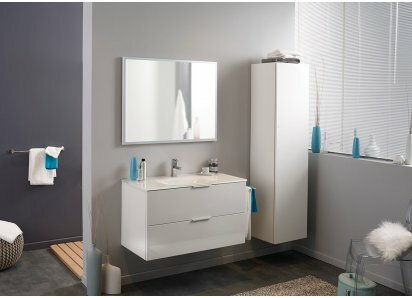 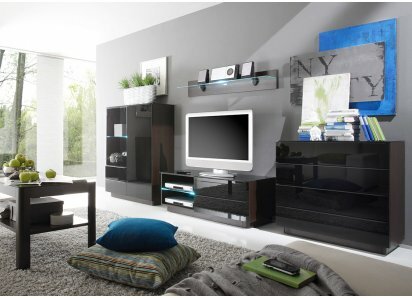 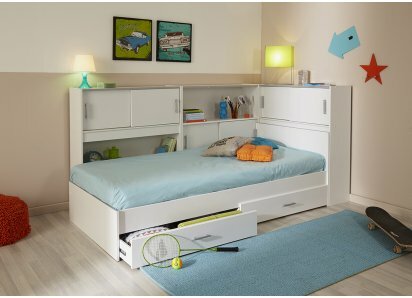 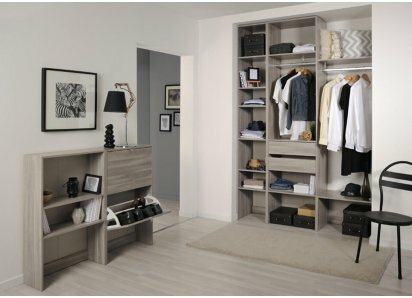 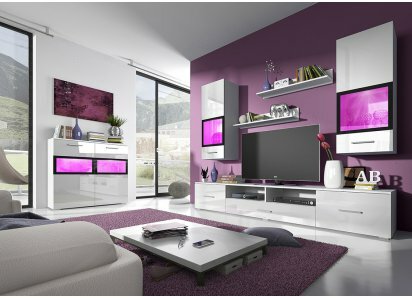 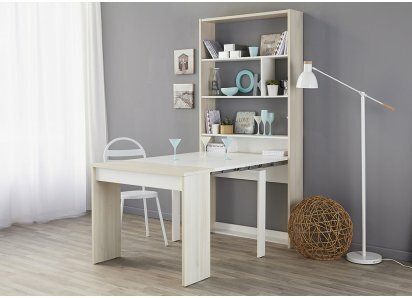 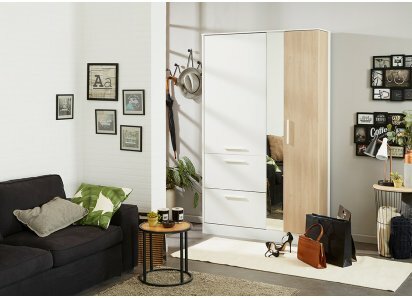 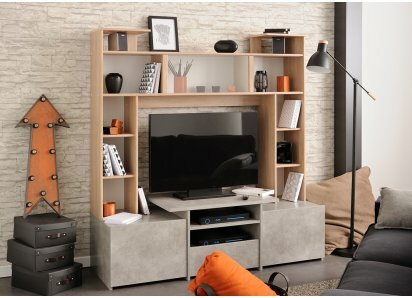 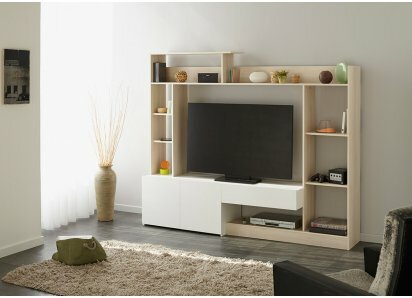 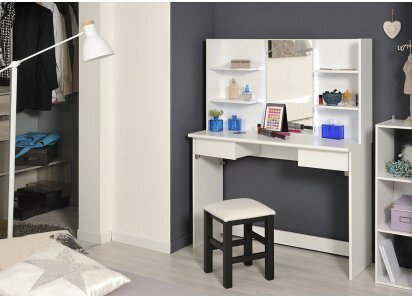 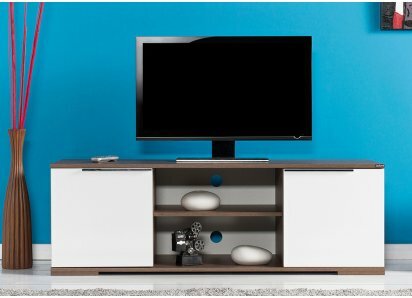 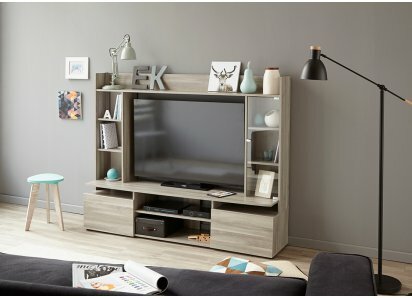 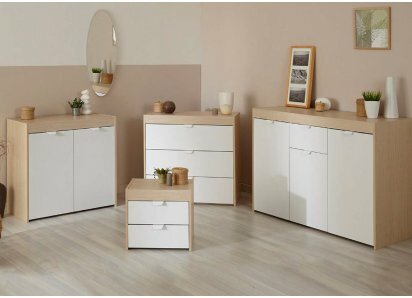 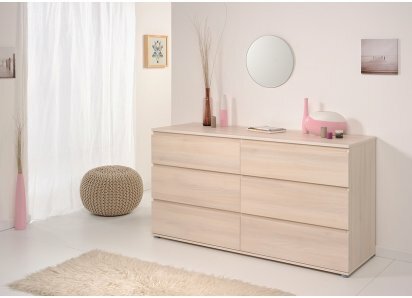 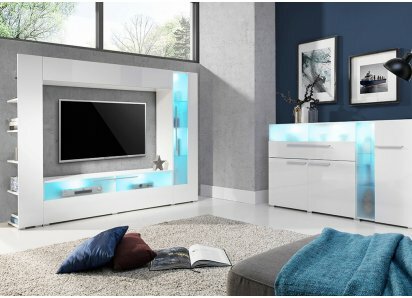 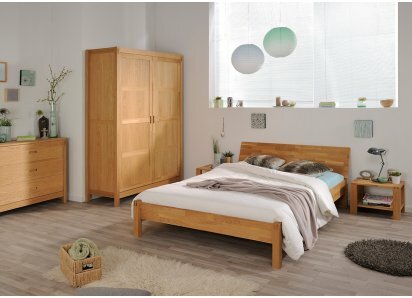 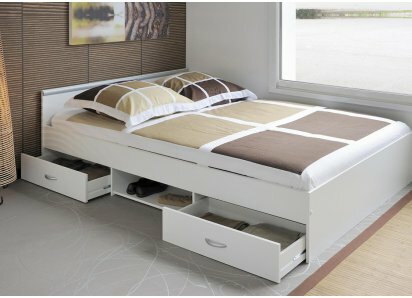 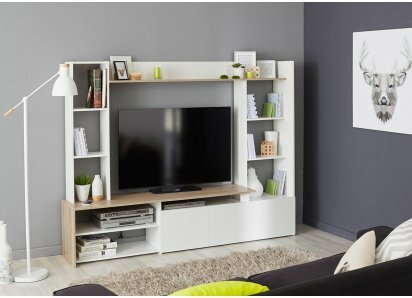 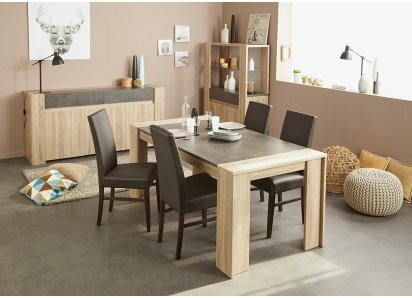 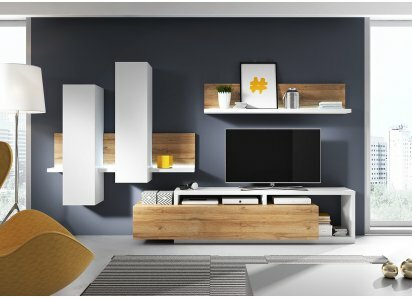 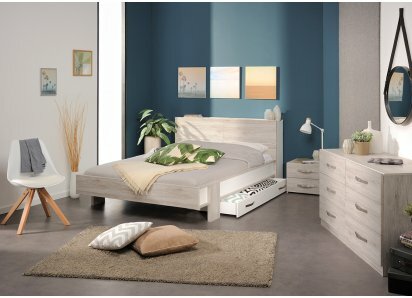 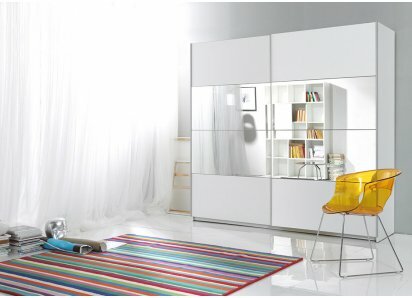 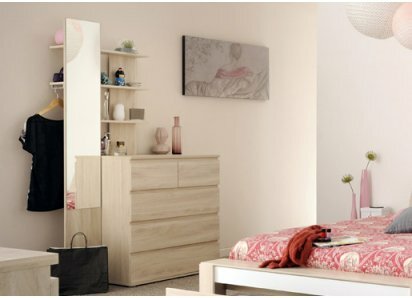 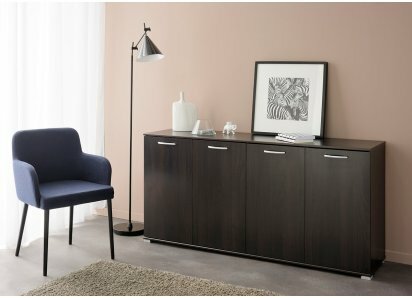 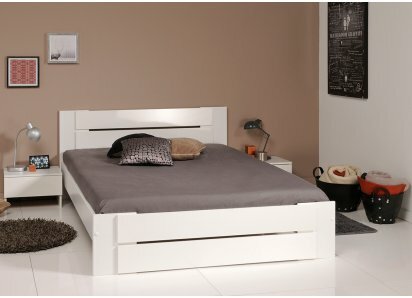 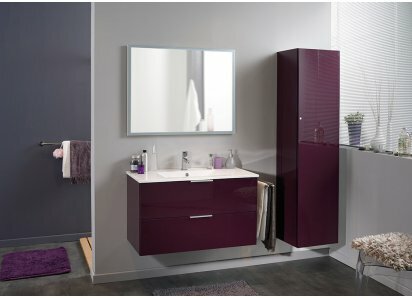 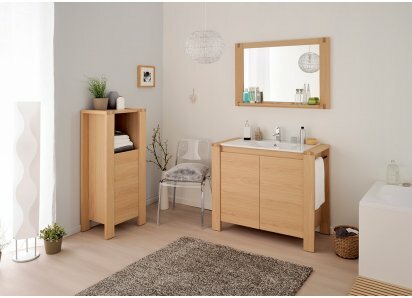 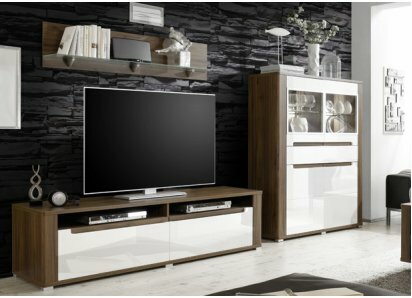 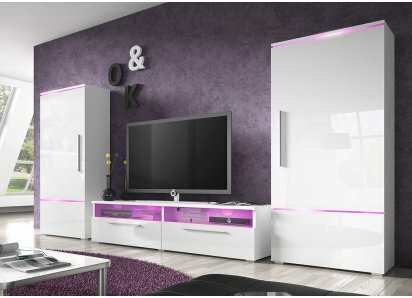 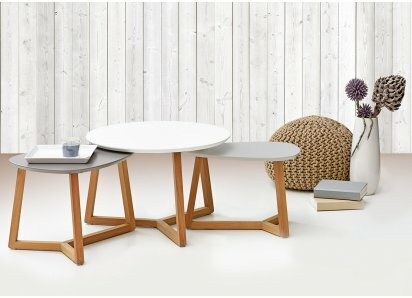 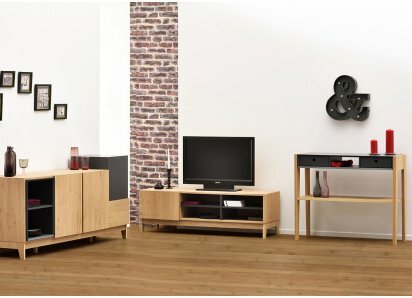 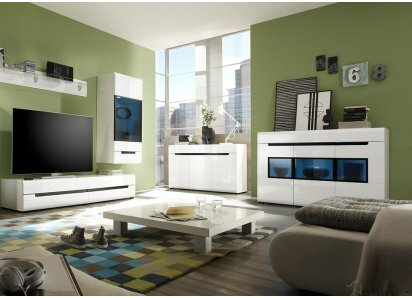 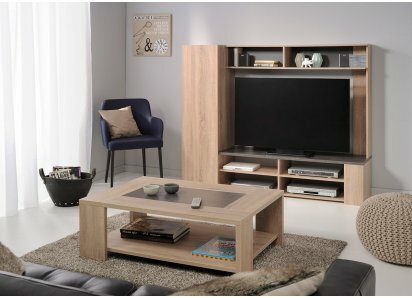 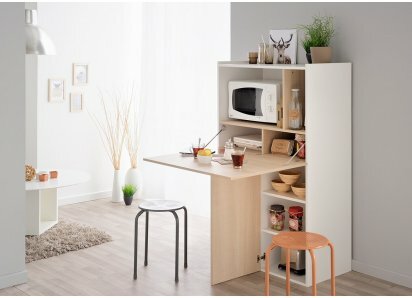 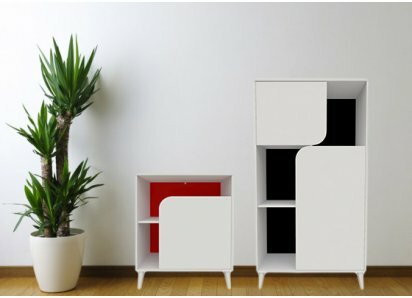 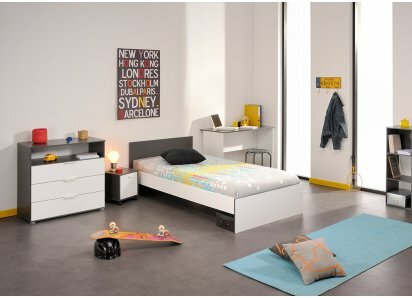 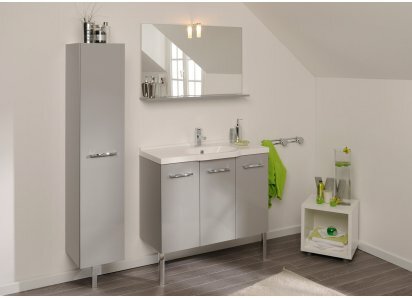 The Luneo furniture is designed and manufactured by Parisot, of France, who uses eco-friendly wood-sourcing, manufacturing, and recycling practices that have earned them Green Way accreditation.